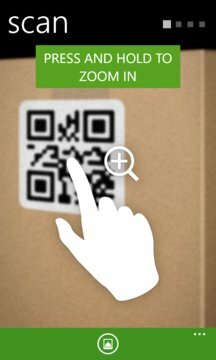 QR.biz is a simple and user-friendly application for work with QR codes. Scan, save, create QR codes different types: texts, links, geoposition markers, emails, SMS or business cards. 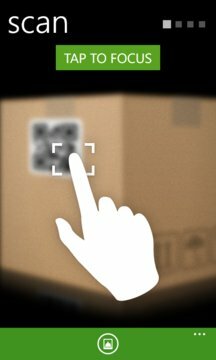 QR and barcode scanner QR.biz uses unique algorithms to recognize QR codes even in dark places or from awkward angles. To recognize QR code you just need to start application and point your smartphone camera on the QR code. After recognition the application will propose you few further actions depends on coded information. This will help you to control information from the QR code. Safety of scanned links granted by Google Safe Browsing technology. Built-in QR code generator allows you to create any types of QR codes in a very fast and simple way: from regular text to advanced business card. Transfer information through the scanning — it’s fast, reliably and convenient. Your contact won’t be missed in the pile of business cards on the conference, business meeting or in café. Applications saves recognized information so you can always return to the scanned data to put it in order. You can move important codes to favorites to have quick access to them. Share created and recognized codes via email, social networks or popular messengers. This option is also included to QR.biz — best application for QR and bar codes.